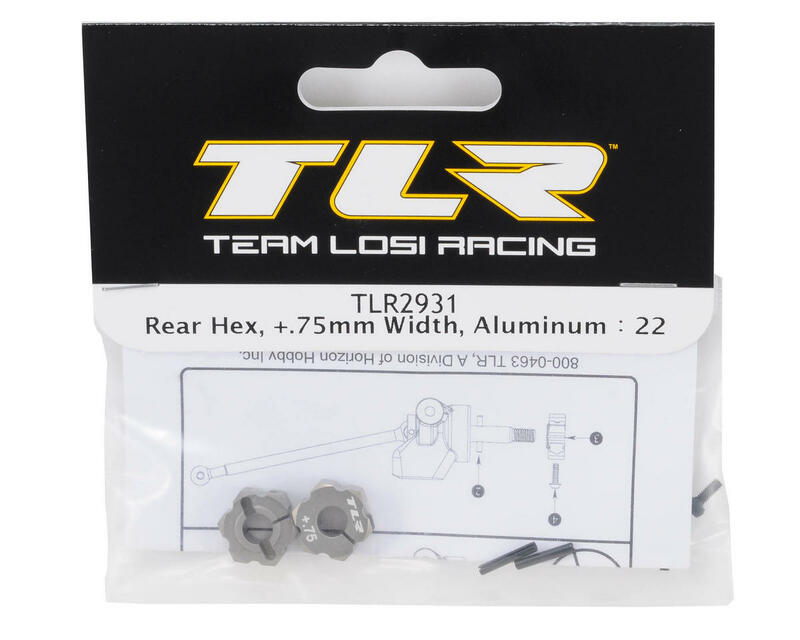 This is a Team Losi Racing Aluminum Rear Hex Set, intended for use with the Team Losi Racing 22 1/10 buggy. This is the width most people run on the 22. Great product and helps extend the wheels out. Easy to put together. 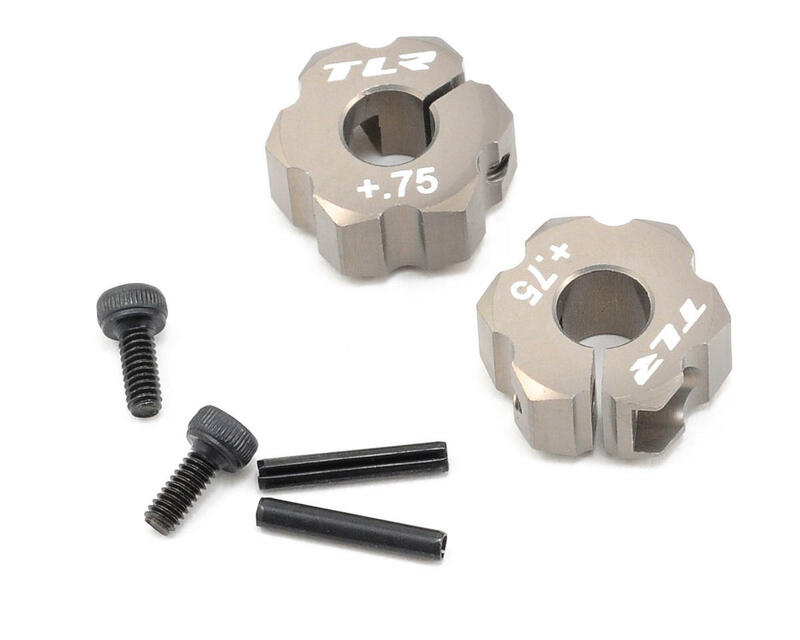 Paired these with the -2.5mm chassis on a 22 1.0 and noticed and immediate improvements in its low speed turning. Quick and easy mod.